This briefing note is organized into eight sections. The first section presents information on the country coverage and methodology of the Statistical Annex of the 2016 HDR. The following seven sections provide information about key indicators of human development including the Human Development Index (HDI), the Inequality-adjusted Human Development Index (IHDI), the Gender Development Index (GDI), the Gender Inequality Index (GII), and the Multidimensional Poverty Index (MPI). The Briefing also introduces two experimental dashboards – on life-course gender gap and on sustainable development. 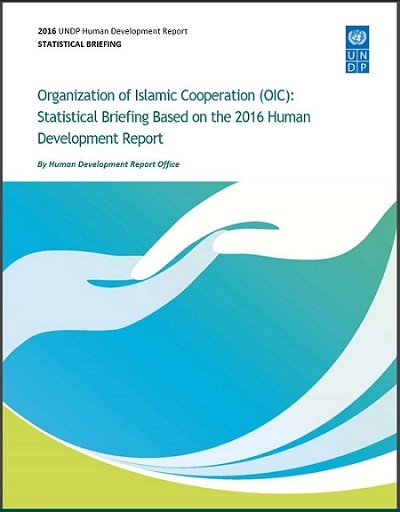 The Statistical Briefing is a first step in paving the way for cooperation between SESRIC and UNDP HDRO for exploring the possibility towards the preparation of the OIC Human Development Report.